JUST IN!! A GORGEOUS 2007 Mercedes-Benz E350 4matic SPORT with a BEAUTIFUL Flint Gray on BLACK LEATHER Color combo and Black Maple Wood Trim. 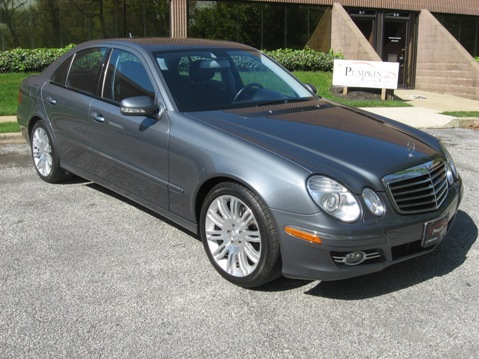 This pre-owned Benz has a PERFECT CARFAX history and was hand-picked by none other than Owner, Franck Freon. Equipped with a V6, 3.5 liter engine, Automatic transmission with AWD... SUPREME POWER & PERFORMANCE!!! With an Original MSRP of $56,915, you'll SAVE THOUSANDS on this BARELY BROKEN IN E350 with just over 53k original miles! PRICED TO SELL at $25,995!! LUXURY OPTIONS include Sport & Premium Pckgs, SIRIUS SATELLITE Radio with CD Player + 6-Disc CD Changer, Dual Power/HEATED SEATS with Memory, Power Rear Sunshade, NAVIGATION System, 18" Sport Alloy Wheels, AutoDim Rear View Mirrors and so much more! FULLY SERVICED, PUMPKIN CERTIFIED and backed by our limited POWERTRAIN WARRANTY, you'll feel at ease knowing your getting the BEST VALUE YOUR MONEY CAN BUY when purchasing a PUMPKIN CAR! Visit us on our website at http://www.pumpkincars.com/ for more information on this vehicle or to complete an ONLINE APPLICATION for financing! Want to schedule a test drive?!? CONTACT US at (609) 646-7676 or send us an email at [email protected]. As always, feel free to drop by our UNIQUE INDOOR SHOWROOM located on Fire Road in EHT. Click here for detailed driving directions! 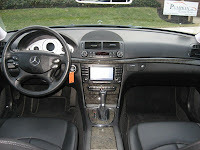 Hurry in soon, this E350 4matic Benz won't last long!!! Great Cause...Pumpkin Proud to be Involved! Pumpkin Has Great Values on Nissans Right Now! 2008...It Was A Very Good Year!